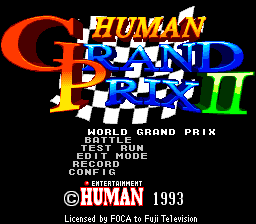 This is an unplayable demo of Human Grand Prix II. I bought this prototype along with five others from Simon_Belmont (see the sales thread on AssemblerGames.com). 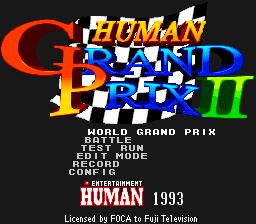 This prototype of Human Grand Prix II is an unplayable demo. By the looks of things, the game is fairly close to completion, but I did notice some differences from the final. 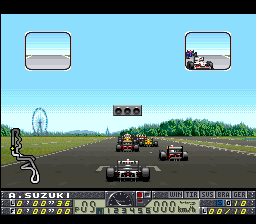 Most notably, during the gameplay demo, the car drives right through the competing cars, with no crashing. 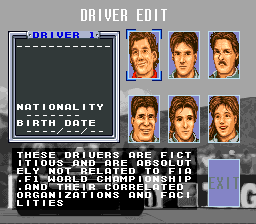 The driver editor options menu has a few differences, including changes to the portraits you can use. 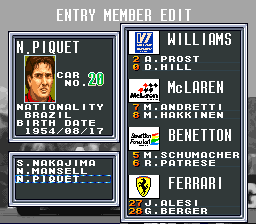 Nelson Piquet is also included in the list of F1 drivers in the demo, but not in the final version, possibly because he was no longer in F1 by the time of the game's release. 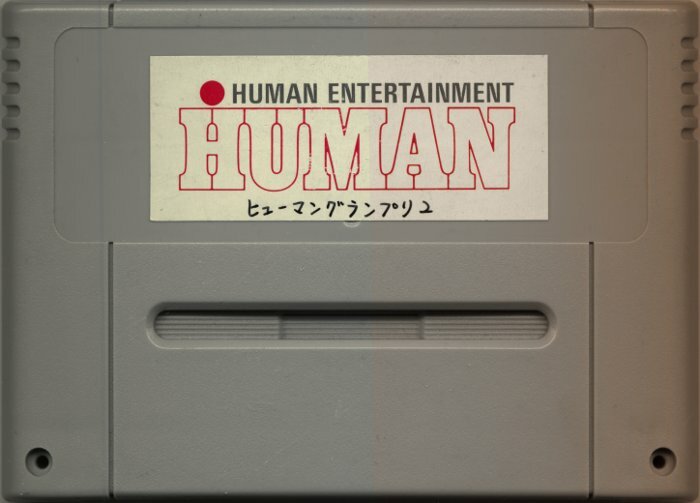 The prototype shows a one-player demo of the Japanese course, and a two player demo of the Italian course, as well as showing off the player edit options. Prototype single player gameplay Final version single player gameplay. 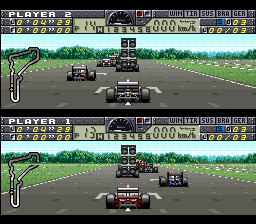 I didn't really notice anything different here, except that the track colours are slightly brighter in the final version, and the neutral icon is a bit different. Prototype two player gameplay Final version two player gameplay. Again, aside from a slight change in the track colours, it looks the same. 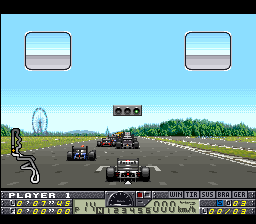 Note that the glitch in the track map on the bottom left is likely a problem with the emulation. Prototype face edit Final face edit. 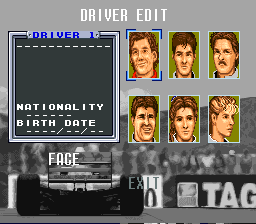 The top middle and bottom right portraits were changed significantly in the final version. Also, they added a poorly edited disclaimer at the bottom. The background colour of the portraits was changed from green to blue. 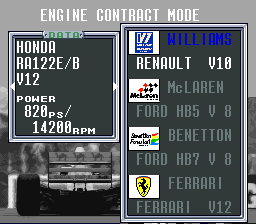 Prototype engine contract mode. Final version engine contract mode. 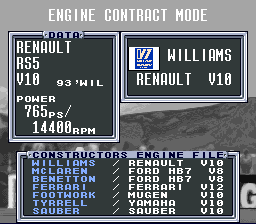 It was revamped a bit, adding a "Constructors Engine File" menu on the bottom. 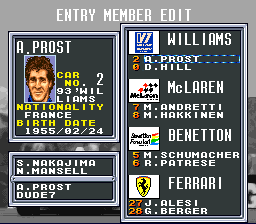 Prototype entry member edit. 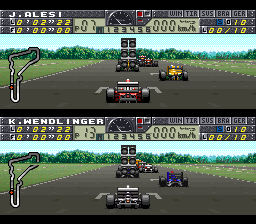 Nelson Piquet is not in the final version, and the car number uses a different font (it is coloured for each driver). Final version entry member edit. 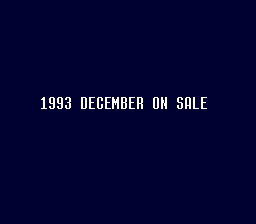 Some of the text was changed to a yellow colour. Back of the prototype cart. 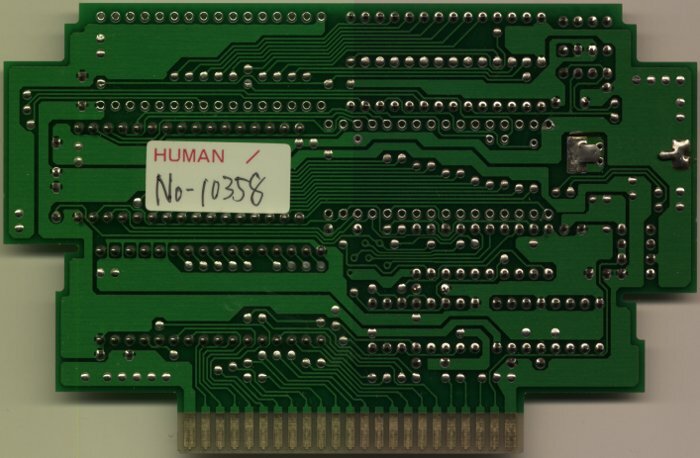 Human must have numbered their prototypes. Front of the PCB. 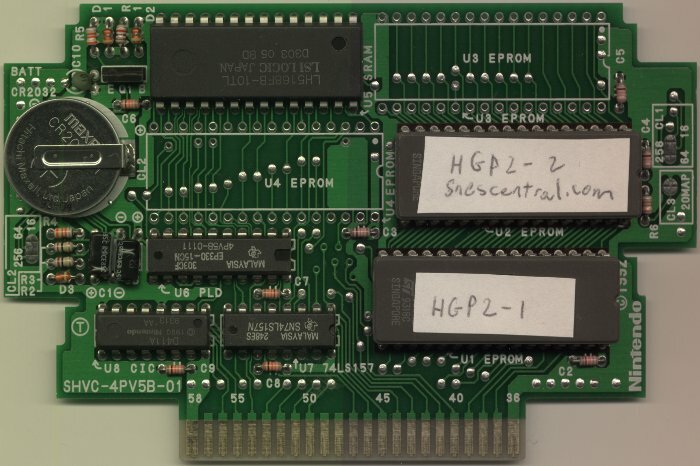 Note that when I got the PCB, the EPROM windows were uncovered. Back of the PCB. 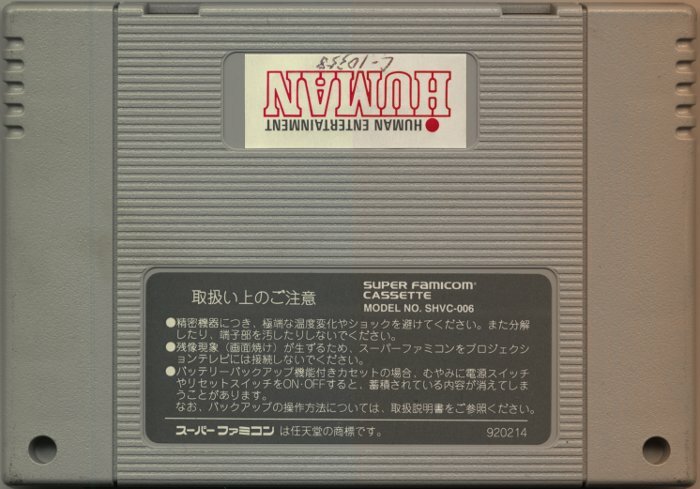 It also has a number label (which is the same as on the back of the cart shell).